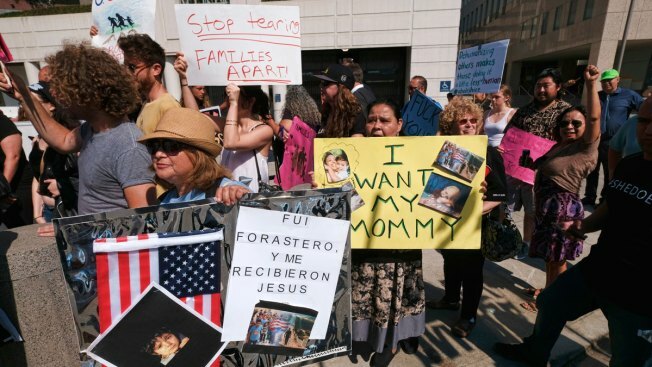 Protesters carry signs during a rally in front of the Immigration and Customs Enforcement facility in downtown Los Angeles in this Monday, July 2, 2018, file photo. U.S. District Judge Edward Chen in San Francisco granted a request for a preliminary injunction against the administration's decision to discontinue temporary protected status for people from Sudan, Nicaragua, Haiti and El Salvador. The judge said there is evidence that "President Trump harbors an animus against non-white, non-European aliens which influenced his ... decision to end the TPS designation." It's the latest case in which judges have cited Trump's own comments to rule against his immigration policies. 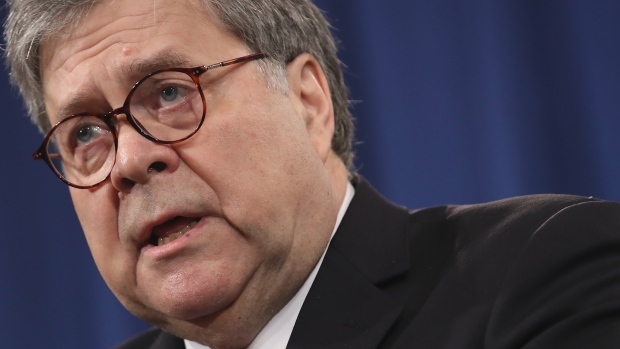 His words have been turned against him in lawsuits over decisions to separate families at the border, end legal protections for young immigrants and ban people from some Muslim-majority countries. The lawsuit from immigrants who have received the protections alleges the administration's decision was motivated by racism. "The Justice Department completely rejects the notion that the White House or the Department of Homeland Security did anything improper. We will continue to fight for the integrity of our immigration laws and our national security," O'Malley's statement said. "I was so happy when I found out about the judge's decision," said Crista Ramos, 14, whose Salvadoran mother was in the program. "Ever since the TPS terminations were announced, I have been wondering how I can live a normal life if I am about to lose my mom." Chen questioned the administration's motives at a hearing last month. He cited a memo that he said suggested the decision was driven by the administration's America First policy. He asked an attorney for the U.S. Justice Department to respond to plaintiffs' allegations that America First meant excluding immigrants who are not white. Chen ruled Wednesday that evidence shows Duke's decision "may have been done in order to implement and justify a pre-ordained result desired by the White House."